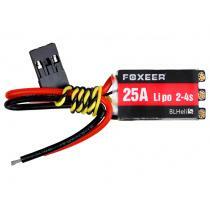 With the remarkably small size (23.8x14.5x5.8mm) and light weight (6g),XRotor Micro 30A BLHeli-S is an ESC specially designed for competition FPV drones. 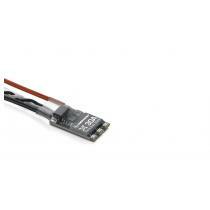 capacitors, 3-ounce copper and 4 layers of PCBs guarantees less heat, higher efficiency and rapider response. 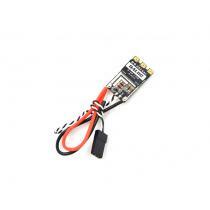 The ESC supports the original BLHeli_S firmware. 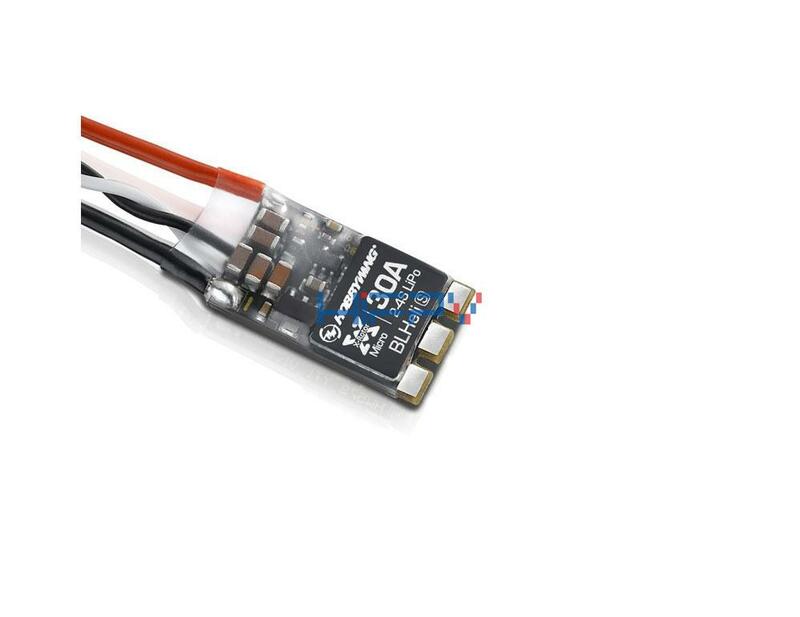 Users can flash or upgrade the firmware via the signal cable (on ESC) and program 4 ESCs simultaneously after connecting their flight controller to the BLHeliSuite software (if the flight controller uses the CleanFlight or betaflight firmware). 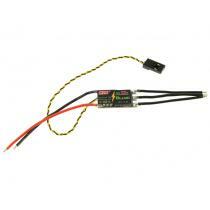 The ESC firmware uses hardware generated motor pwm for smooth throttle response and silent operation. Damped light does regenerative braking, causing very fast motor retardation, and it inherently also does active freewheeling. 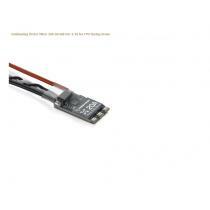 The ESC also supports Oneshot125(125-250m/s)high-speed throttle signals, Oneshot42(41.4-83.3m/s)and Multishot(5-25m/s) super high speed throttle signals besides regular PWM(1000-2000m/s)throttle signals. 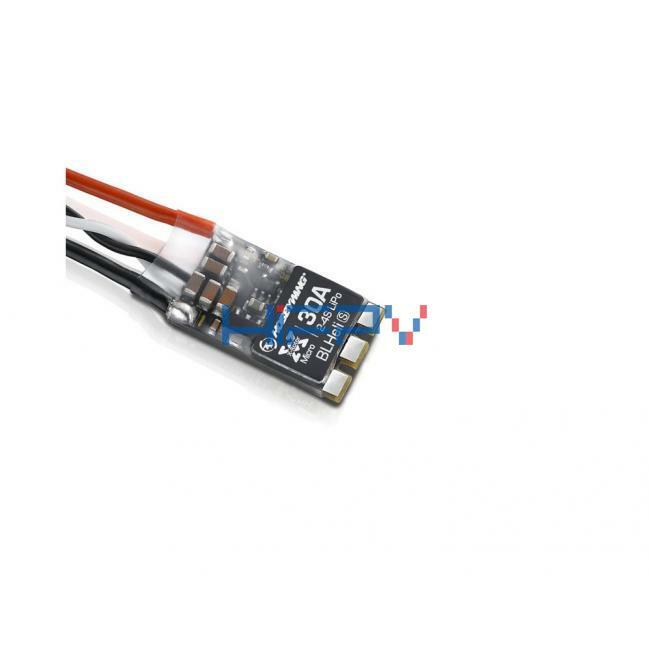 The twisted-pair throttle signal cable effectively reduces interference produced in signal transmission and makes the flight much more stable and reliable.